Reception open from 7 a.m. to 7 p.m. If you need late chek in is enough to tell us before, to plan it, we will send you a personal code to open the main door, inside you will find your key with your name and all indications on the map provide by us. 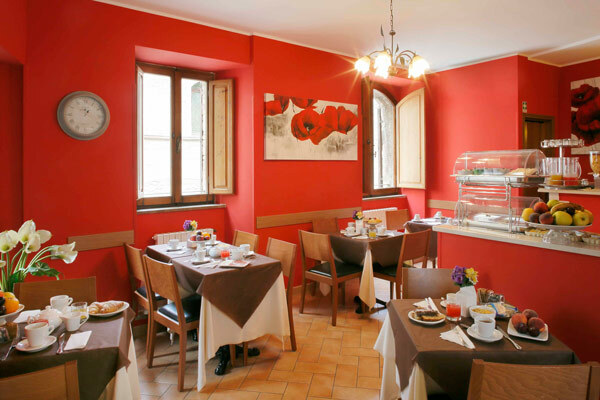 Buffet breakfast is served from 8 a.m. to 10 a.m., you can relax yourself in our breakfast room and delight with: salami, cheese, ham, eggs, yogurt, fresh fruits, juices, different cakes, jams, butter, bread, toasts, croissants, cereals, caffè, cappuccino, tea, cioccolate and more. Free parking space just 800 meters far from us, in public area. Transfer: we can arrange transfer from all airports and train stations, quotations upon request.